Water (chemical formula: H2O) is a transparent fluid which forms the world’s streams, lakes, oceans and rain, and is the major constituent of the fluids of organisms. As a chemical compound, a water molecule contains one oxygen and two hydrogen atoms that are connected by covalent bonds. 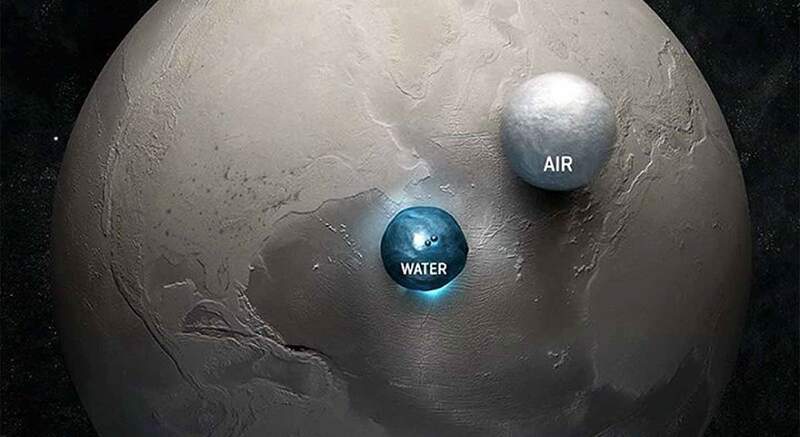 Water is a liquid at standard ambient temperature and pressure, but it often co-exists on Earth with its solid state, ice; and gaseous state, steam (water vapor). It also exists as snow, fog, dew and cloud. Water covers 71% of the Earth’s surface. It is vital for all known forms of life. The water cycle, also known as the hydrological cycle or the H2O cycle, describes the continuous movement of water on, above and below the surface of the Earth. The mass of water on Earth remains fairly constant over time but the partitioning of the water into the major reservoirs of ice, fresh water, saline water and atmospheric water is variable depending on a wide range of climatic variables. The water moves from one reservoir to another, such as from river to ocean, or from the ocean to the atmosphere, by the physical processes of evaporation, condensation, precipitation, infiltration, runoff, and subsurface flow. In doing so, the water goes through different phases: liquid, solid (ice), and gas (vapor). The water cycle involves the exchange of energy, which leads to temperature changes. For instance, when water evaporates, it takes up energy from its surroundings and cools the environment. When it condenses, it releases energy and warms the environment. These heat exchanges influence climate. The evaporative phase of the cycle purifies water which then replenishes the land with freshwater. The flow of liquid water and ice transports minerals across the globe. It is also involved in reshaping the geological features of the Earth, through processes including erosion and sedimentation. The water cycle is also essential for the maintenance of most life and ecosystems on the planet. Global climate change and the exponential increase in population has led to water scarcity and recent headline-grabbing water shortages in major urban centers like Capetown and Sao Paulo. As water scarcity or cleanliness continue to present major issues to humanity’s survival, communities across the globe are turning to technology to help access more fresh water–or create it using seemingly ‘magic’ techniques. 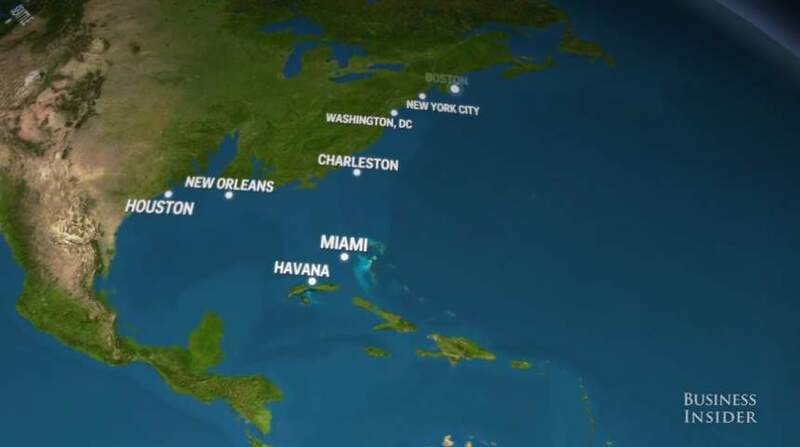 Dr. Adam Nieman created this image in 2003, illustrating the volume of the planet Earth’s oceans and atmosphere (if the air were all at sea-level density) by rendering them as spheres sitting next to the Earth instead of spreading out over its surface. Scientists spotted water in the atmosphere of 51 Pegasi b, one of the first exoplanets ever been discovered. It is around 50 light years away – so we can call it a “nearby” exoplanet – and it is in the constellation of Pegasus. 51 Pegasi b has not marked a breakthrough in astronomical research for the first time: back in 1995, it was the first exoplanet to be discovered orbiting a main-sequence star. The first confirmed exoplanet discovery came in 1992 when several terrestrial-mass planets orbiting the pulsar PSR B1257+12. Earth is still the only planet we know where water can exist in liquid form on the surface and the water is vital for all known forms of life. Rain brings life: it is a major component of the water cycle (also known as the hydrologic cycle, the continuous movement of water on, above and below the surface of the Earth) and is responsible for depositing most of the fresh water on the Earth. Here are the top ten wettest places on Earth. Where Earth’s water came from? Earth is a blue marble in the space: the water, gives our planet its blue color: about 71 percent of the Earth’s surface is water-covered. There is roughly 326 million cubic miles (1.332 billion cubic kilometers) water on the Earth’s surface. Almost 97% of that water is salty (ocean water). But where all that water came from?